Debbie Melville joined Wirral Sensory Services in 2008. Debbie is a qualified Veterinarian and before joining WSS she managed a successful small animal veterinary practice. 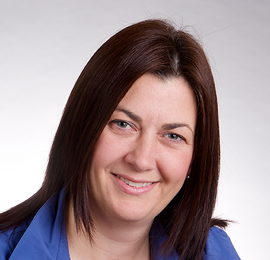 Debbie oversees much of the research conducted by the project management team and has been instrumental in the development of a number of our key clients and brands including Young's, Mission Foods, Innocent, Bakkavor, Fresh Insights and Wokhardt. Debbie has also implemented the HR procedures and personnel systems to support WSS's current staff of 15 full time and 12 part time employees.